Days are getting shorter and temps are getting cooler. That means it’s time to cozy up to the fireplace with a blanket and a good book! 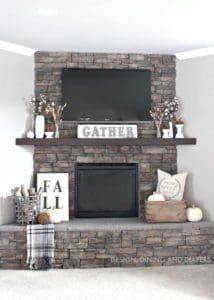 With all that extra time your family will soon spend around the fireplace, let’s think about how we can make it fun for fall! Stay classic: The mantel is not the place to line up your favorite collectibles. You want to keep this a place where you can show off pictures of your children (or grandchildren), artwork, a beautiful clock or mirror, or anything that has special meaning to you. 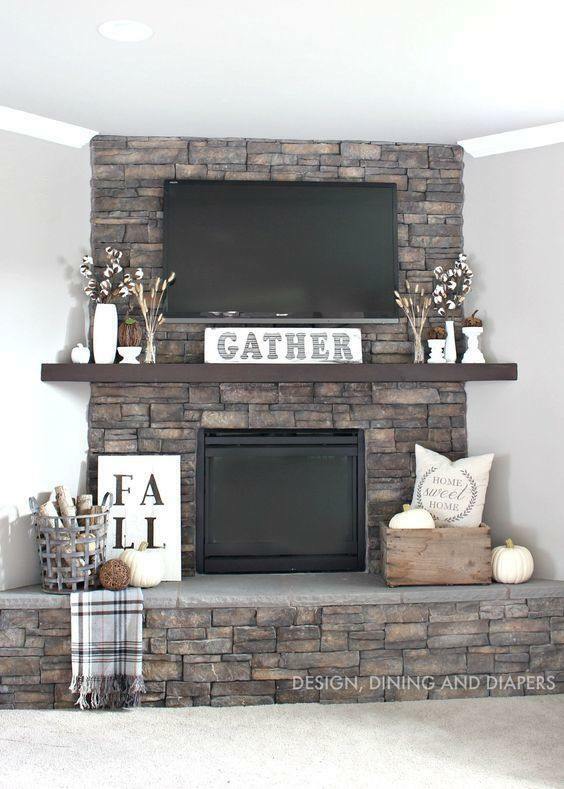 We know your collectibles are important, but the mantel just isn’t the right spot for them. Match and scale: You don’t want to make your fireplace mantel something that’s too over the top or makes you feel overwhelmed to look at it. When you’re deciding what artwork to hang, be sure to match the size of the artwork, as well as accessories, with the size of the fireplace. You don’t want a piece of artwork or decor that’s too small or too big. You also want to ensure that you’re scaling the pieces to the wall as well. Those who have tall ceilings will want to opt for artwork that has a vertical alignment while a lower ceiling will call for a piece of art that is more horizontal. 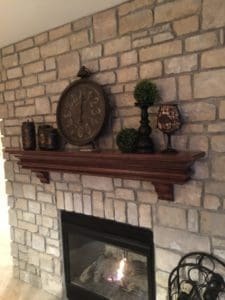 Create varying heights: If you line everything up on your mantel, you’ll quickly learn that you can’t exactly see it all. To avoid this dilemma, be sure to create varying heights with risers. By risers we don’t mean a boring old piece of metal to lift up a picture frame behind another. Risers can include anything from a small glass votive, to a stack of books, and even a cake plate. The difference in heights between accessories and decor will give you eye-pleasing depth on the mantel. You don’t always need a mirror: In nearly every home you’ve been to, you’ve probably seen a mirror on the mantel. We’re here to tell you that a mirror isn’t always the right choice. If you don’t have the mirror reflecting anything beautiful (say, a regular old ceiling fan), then there’s really no point in the mirror. You might opt for a clock or a big piece of artwork to really show off to friends and family who visit. Those of you who have a built-in mirror, consider adding a plant to the front or side of the mirror so you get a great reflection of the plant’s opposite side. Shop at A Village Gift Shop at the Century House: Whether you’re looking to add plants, photos in beautiful frames, or candlesticks, visit A Village Gift Shop at the Century House. We carry a plethora of wonderful home decor to add to your mantel. We also have vases, artwork, mirrors, and so much more. Visit A Village Gift Shop at the Century House at 3 Village Square in Glendale or call 513-771-3927 for more information.